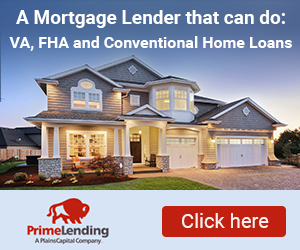 When looking to sell your Ocala homes, a major decision would be whether to try and go through the entire process yourself, or seek professional help from the likes of Frederick Franks at The Fred Franks Team. The value Fred Franks offers, vastly overrides the cost that you would incur in hiring him for professional help in selling your home. For example, there was a home owner hoping to sell his property; who found a prospective buyer who really liked the property but was attempting to get the property for a price that the seller was uncomfortable with, this is where an experienced Realty professional comes into play. Fred Franks with his persuasive skills was able to convince the buyer about the inherent value of the property whereby he not only paid the price the seller was hoping to get, but he also bore the brunt of most of the closing costs. Fred Franks can ensure that when it comes to selling your property, no stone will be left unturned. instance, many homes remain unsold not for any other reason than there is little awareness that the property is up for sale. Fred has a unique ability to spread the word so that there is maximum awareness created about the availability of the property, which results in the property being sold that much faster. Another of the advantages in hiring Fred is reducing the amount of time you spend doing the paperwork. There is a LOT of paperwork involved anytime a real estate transaction happens. For those that are unaccustomed to selling homes, this paperwork alone can be daunting. 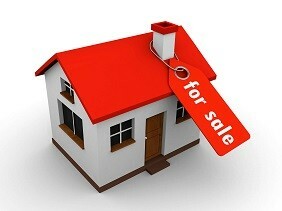 In turn, a lot of sellers are looking to purchase a new property with the money they receive. Fred provides incredible value in this process, ensuring that sellers find the right home for themselves, as soon as they close all the necessary steps of the home buying process. Evening you are looking to buy horse properties in Ocala, Florida. Notwithstanding all the help that Fred can offer you in selling your home, it would be worth your while to adhere to some selling tips which can certainly make a big difference. A property that looks pristine always commands a good price. That is the reason it is always advisable to not overlook obvious needs for repairs or refurbishment, flaky paint, leaky roofs, broken tiles, a dirty swimming pool, etc. can effect your ability to sell your home. Another major reason for properties remaining unsold is that there isn’t adequate awareness about it. So make sure you spread the word as much as possible.Ocala MLS listings on Local Realty Service can certainly be a great help in that aspect. Our final tip would be to remain realistic in line with market dynamics; often sellers end up with properties remaining unsold for a long period of time simply because the price they are seeking is much too high and completely out of sync with market dynamics.